1In here applause is a generic reference to various forms of appreciation communicated by the audience to the performers. Long ago when I was a University student my friend, Manu Shetty (an artist and a philosopher), said that the aesthetic experience in the Indian art, especially in its architecture, is in detail where as in the European art the experience is in the perspective. The experience is dictated by where you stand with respect to the object of admiration. A few years later my wife and I were in the middle of St. Peter’s square (actually it is almost a circle) in Rome standing in front of the Basilica facing the large circular edifice with hundreds of columns all along the perimeter. To appreciate the grandeur you have to situate yourself in a position from where the symmetry of the structure as a whole is obvious. While taking walk all around, the columns themselves appeared rather dumb and monotonous without any character. It is the whole and not individual parts that provide the aesthetic experience of the beauty and grandeur of St Peter’s square (see Figure below). 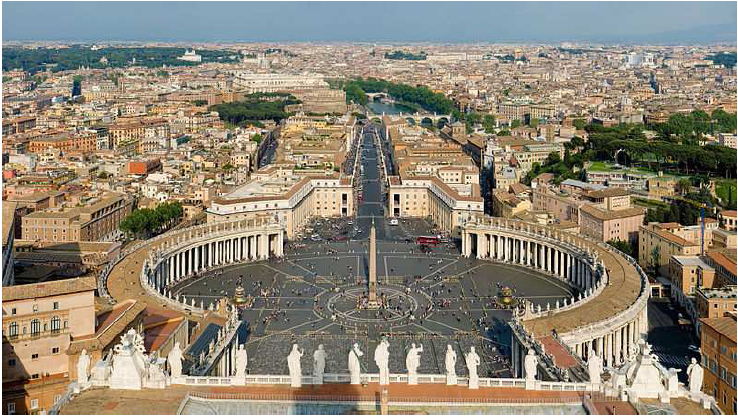 Figure 1: Saint Peter’s Square in Rome. Photo by David Iliff. (Source: en.wikipedia.org/wiki/File:St_Peter’s_Square,_Vatican_City_-_April 2007.jpg). This was made even more apparent recently, a couple of months back, when we were at the Acropolis in Athens. Even amidst all the ruins accumulated over centuries of building, destruction and rebuilding, the Parthenon stands tall on the small hill in the middle of Athens. Its massive pillars, even without the supported super-structure (destroyed long ago), ignite the imagination enough to reconstruct what it would have looked like from a distance. Each pillar though impressive in size again is rather simple looking cylindrical object of stone with long glitches, minimalist at best. But the whole, in its shear size and conception, is mind boggling. 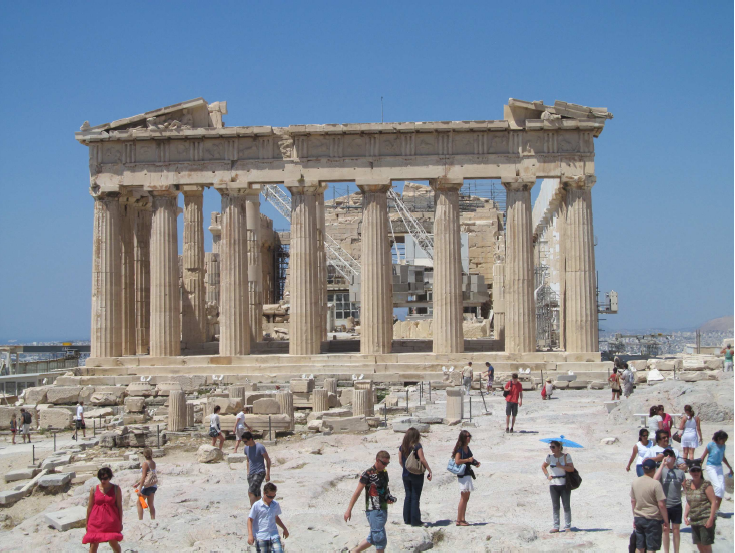 Figure 2: Parthenon at Acropolis in Athens. Photo by author. Manu’s thesis becomes apparent when the Greeco-Roman architecture is compared with the South Indian temple architecture from the Pallava monuments to the Hoysala temples, an evolution over a period of thousand years taking in many influences, becoming more and more intricate over time. The duality of scales, between Greek-Roman and Indian, plays out in fullness- grandeur versus intricate, distant versus proximate, macroscopic versus microscopic. This is especially so with later period temples at Belur and Halebid. From a distance the temples may appear fairly non-descript, like any other temple in the region. However, as one goes closer each panel from top to bottom and left to right is littered with exquisite carvings frozen in stone. As one moves around these temples, the details lead one gasping with exclamations. As one completes a slow revolution around these marvels in stone, it is time to pause in front to admire and applaud the creators taking in the whole, but in a sense which is entirely different from the experience of standing little far away in front of the Parthenon in Acropolis or in St. Peter’s square in Rome. Figure 3: Stone reliefs at the later Hoysala temple at Somanathpur near Mysore. Photos by author. Rarely the two have merged in temple architecture, perhaps the Brihadeeshwara temple in Tanjavur is an exception to the rule. More prominently, in the later Islamic period monuments in India, Central Asia we have some examples of a systematic synthesis of both traditions, differential versus integrated, but not necessarily influenced by them. Taj Mahal is a classic example of the fusion of the scale, symmetry and the intricate as also the Humayun tomb in Delhi. This spatial appreciation of architecture seems to find a mirror in music appreciation, but in time. My wife and I were listening to an young and established Carnatic musician, T M Krishna at a concert in Music Academy. We are ardent listeners of Krishna’s music, not only because it is very good but also because he challenges the orthodoxy of the so called established traditions. The main piece was in raga Kambodhi which included the raga elaboration followed by a padam. The padam part was controversial since it is usually sang at the end of the concert without much flourish. The content is usually romantic and not necessarily devotional as tradition compositions like Keerthanas. This was much discussed in rasikas.org website by the listeners. But it is not what he chose to sing that is contextual, but the way he sang. The piece included some exquisite phrases rendered in a very melodious style with soft gamakas- the audience audibly gasping at the beauty of the phrases followed some times by some energetic phrases demanding applause. The audience appreciation, obvious throughout the rendering, was appropriate- it was subtle but clear when the rendering was soft full of gamakas, boisterous and loud when the phrases included fast brighas. Krishna’s rendering demanded appreciation here and now much like the temples such as Belur and Halebid. Of course the conclusion of the piece again deserved an applause which was the sum total of the whole experience. This is not unusual in a Carnatic music concert. Any random selection of renderings by very good performers, there are many now, are indicative of the above trend more or less. The good musical passages are appreciated then and there. This is so unlike a performance of western classical music. The audience quietly and expectantly sits through a performance. There is a quiet anticipation and even a nod at some finer points of the music. But the music rendition is never disturbed. It will have to wait for the edifice to be built by an ensemble of musicians and completed. It is only at the end, when the whole process of construction of the musical piece is completed, the audience stands and applauds, some times demands even more. It is in-built into the nature of compositions themselves. The compositions like the Jupiter by Mozart (symphony No. 41) or the Emperor by Beethoven (Piano Concerto No. 5) demand that you listen in absolute silence. Look at the musical edifice as a whole and applaud the integrated experience in the end. Same is the case with an opera like Carmen rendered by Maria Callas- the movie “Philadelphia” has many snatches of this buttressing some very poignant moments. One can think of many more examples. Of course, there are always exceptions to the rule as in any creative field. It does not mean that one can not appreciate, here and now, compositions in western classical music in detail-some obviously are extremely finely crafted. For example the Mozart symphony in G-minor (25th) is exquisite in detail and has been copied in parts in so many places without sacrificing the pleasure of the whole. Nevertheless, the applause is always reserved for the end. Indeed, there are some compositions also in Carnatic music that coax the listener into silence till the very end. This was brought home to me last year in a concert by Prasanna Venkataraman in Music Academy - he was rendering a master piece by Muthuswami Dikshitar in the raga Brindavana Saranga in praise of Soundararaja, the presiding deity of the Nagapattinam temple. It was a delicate and beautiful rendition shorn of acrobatics with both violin and percussion following in a subdued manner. The conclusion was followed by a few seconds of silence before the applause broke out. The silence was also part of the musical experience much as it is at the end of a western classical music experience. Applause can become a nuisance when it interferes with aesthetic experience, as often it happens when listeners tuned to Carnatic music in a western classical music concert leaving the performers, not familiar with the local custom, baffled when interrupted. Conversely one finds many foreigners in December concerts in Chennai looking bewildered when the “here and now applause” breaks out at regular intervals. How did this come about? Perhaps the answer lies in the origins of Indian music, more specifically Carnatic music, lies at the heart of the oral tradition. In any oral tradition knowledge is often communicated and passed on through music of some form and vintage. This is one of the main reasons that musical traditions are stronger and complex in societies where oral tradition dominates. On its own the music may further develop its own complicated structure and grammar. This helps not only in communication but also in preserving knowledge in the absence of elaborate and dominant writing systems. Communication, to be effective, also depends on repartee or at least an acknowledgement of understanding. Any teacher would agree that it is unnerving to teach a class of students who are absolutely silent and hold their thoughts till the end. Translated in to a musical performance this amounts to repartee among musicians and an acknowledgement of understanding among connoisseur of music through a nod or even an applause. 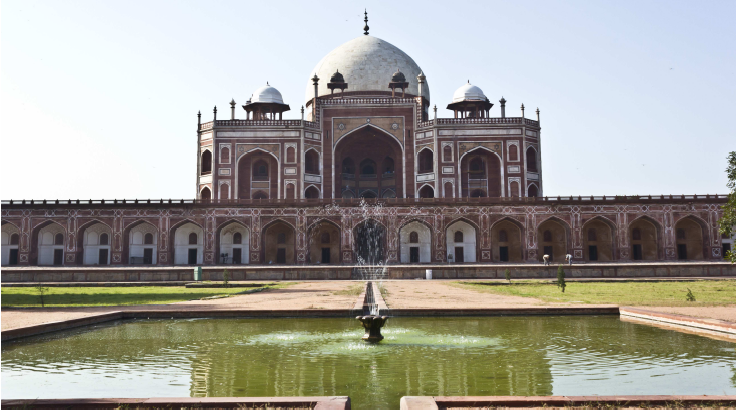 As in the case of Islamic architecture, the twine have indeed met- perhaps in the Hindustani music where one again sees a strong influence of Islamic cultural traditions. Here an approximate median is achieved since there is a gradual build up from a slow paced alap to the crescendo created by a Tarana or a Jhala. Appreciation of the parts and the whole go together without sacrificing the aesthetic experience. It is a combination of grandeur and the delicate. So, is there a well developed Carnatic music aesthetics? The question is very general and requires scholarly debate, but purely from the point of view of music appreciation the answer is yes. There is a method in the “here and now” appreciation rooted in the larger art and architectural scenario developed over centuries.